Raw Material: Australian Hardwood – waste material from plantation timber. PHA is Australia’s most trusted hard wood pellet manufacturer. 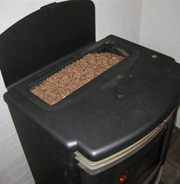 PHA has been a premium pellet maker since 2004.